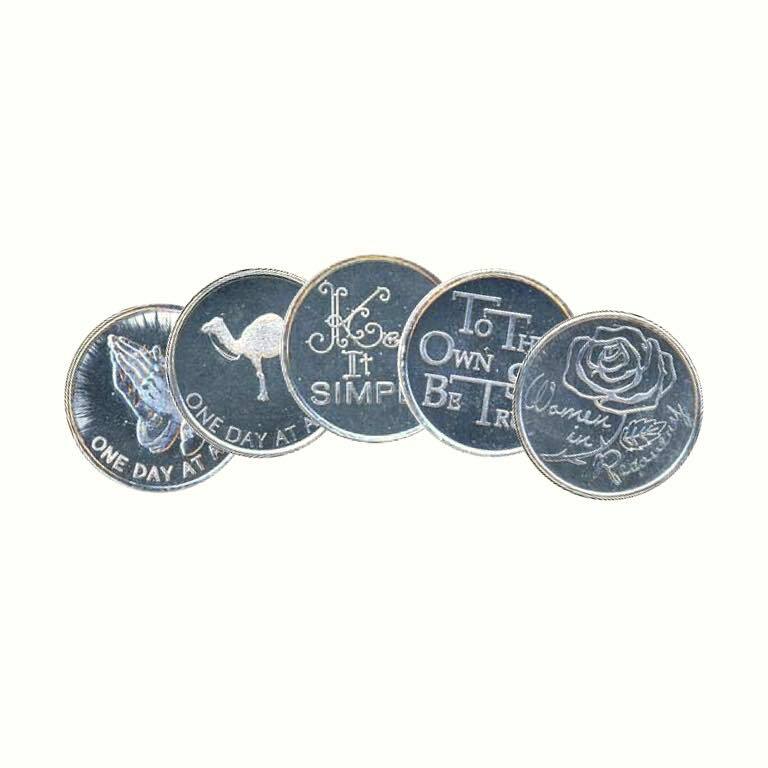 The Token Shop welcomes you to shop our wide selection of Aluminum AA Chips. 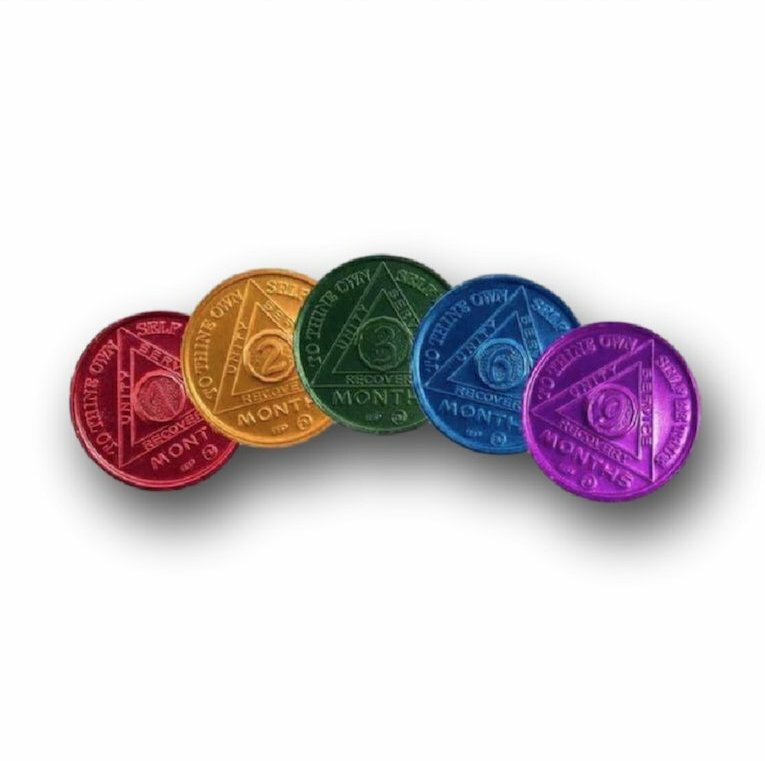 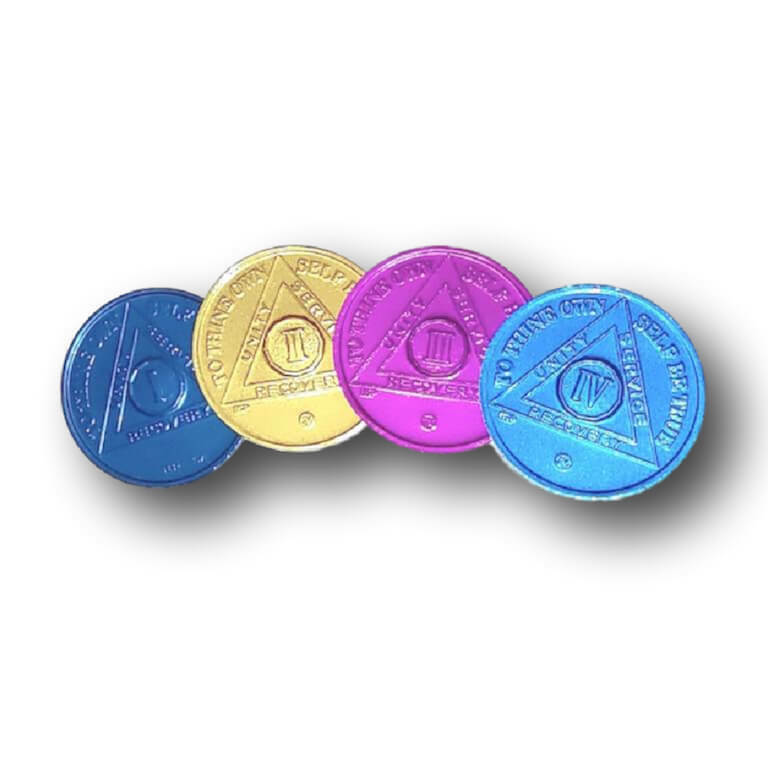 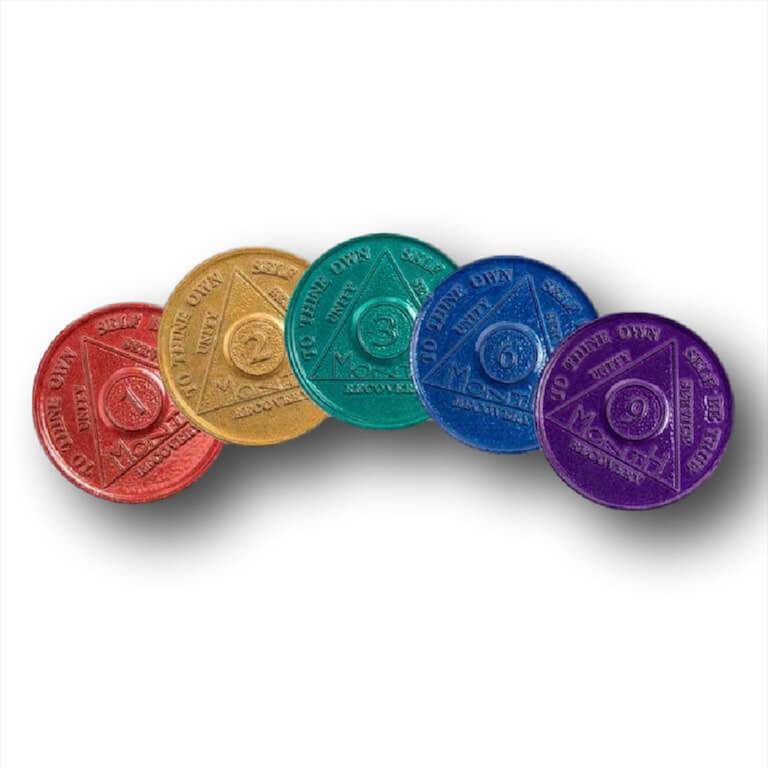 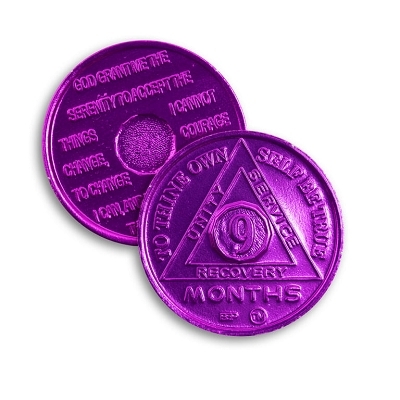 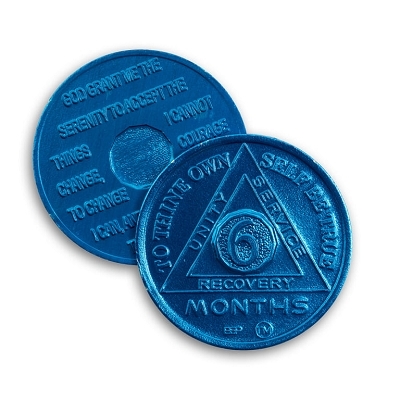 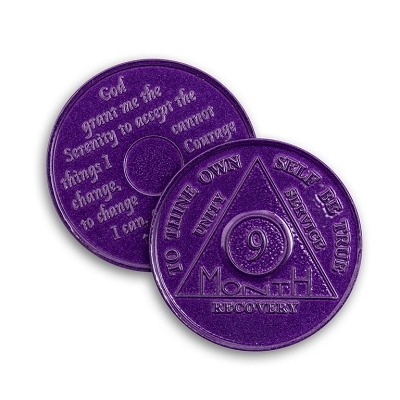 These Aluminum AA Coins are available in a variety of popular months, as well as different colors to help distinguish between the different periods of sobriety represented by the monthly AA Tokens. 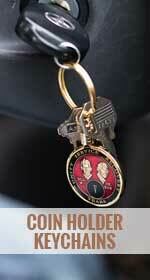 We offer our Aluminum AA Coins in 2 styles. 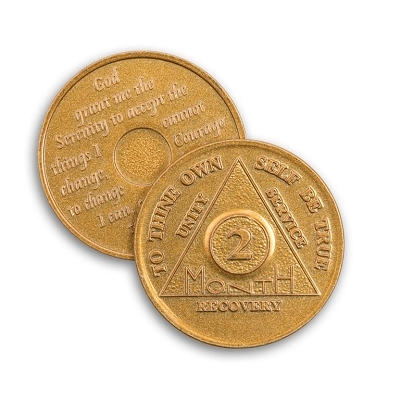 The two manufacturers of AA Coins which we stock are similar in that they both feature the familiar AA Circle and Triangle Motif on the front of the coin with the three legacies of AA, "Unity, Recovery, Fellowship". 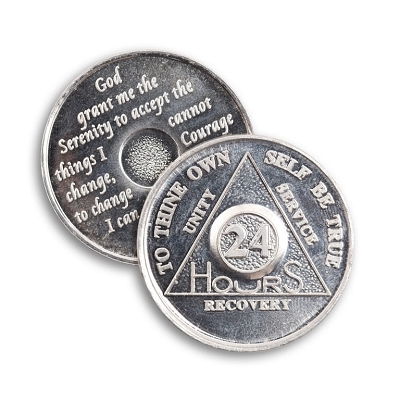 On the outside of the front of the AA Coin is the saying "To Thine Own Self Be True". 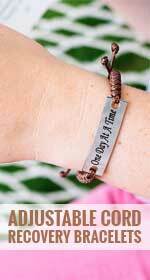 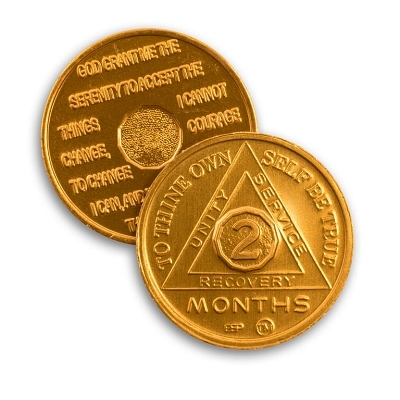 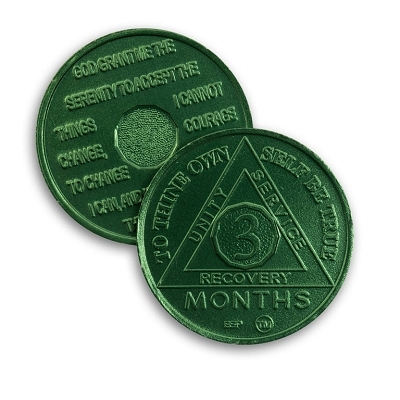 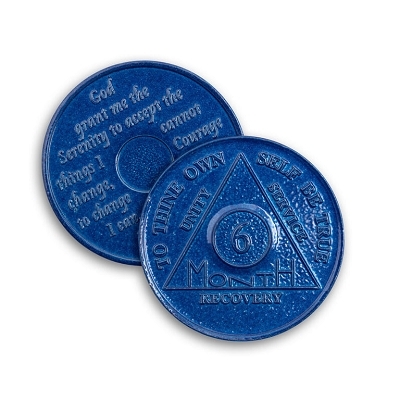 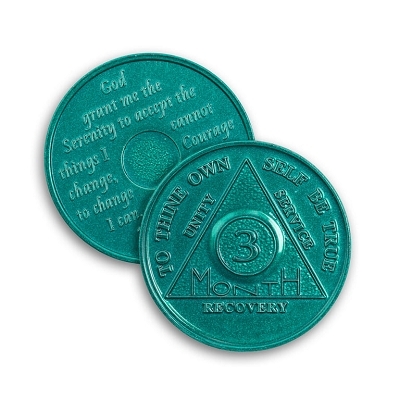 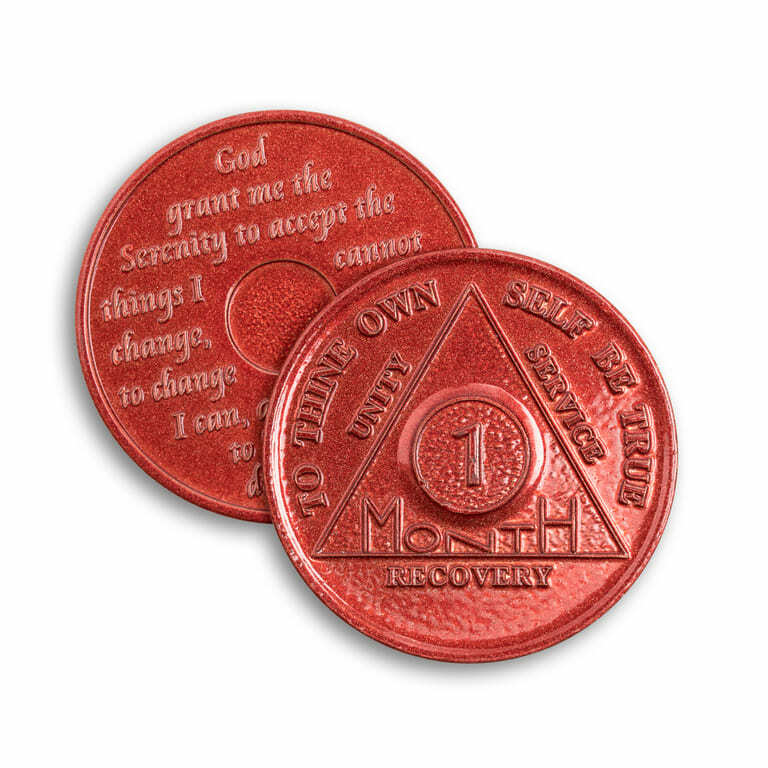 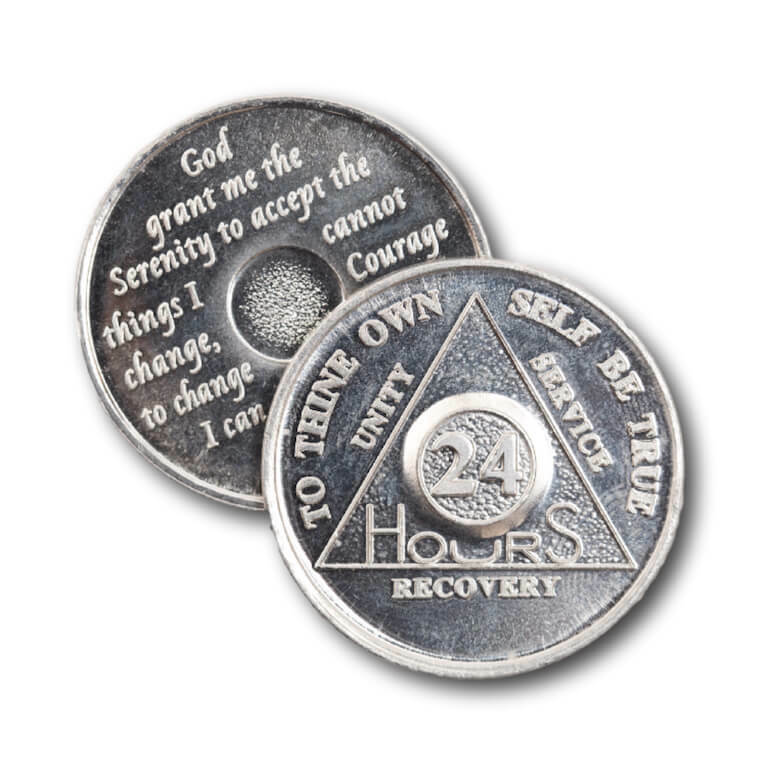 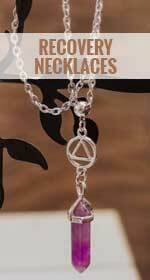 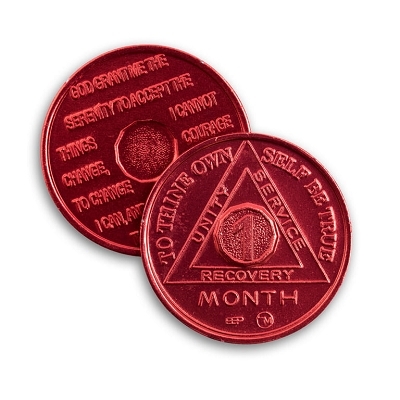 The back or reverse side of the Aluminum AA Chips is the familiar prayer in Alcoholics Anonymous, The Serenity Prayer.